Recently, I’ve felt like the Belle of the Ball every time I go into the post office to check for mail. I’ve received 3 aaaahhhhhhhmazing care packages from my favorite peeps back home. Receiving any kind of mail, be it a postcard, letter or package filled with goodies, has a profound effect on us as volunteers. It’s like: 1. people back home remember you’re alive!! and 2. people back home still love you!!! So thank you guys, for sending your love (and the baby wipes). I knew Diana was sending me a small package with the new Nas CD and maybe some baby wipes, so imagine my surprise when I picked this baby up! my girls know what i really need – nail polish! This package saved my life! I asked my mom to send me some of my clothes from back home because Olmos is way too hot for the wardrobe I had during training. Now I have shorts, tank tops and light tees galore!! Plus, when everything in your life is brand new, wearing your old clothes makes you feel like yourself again. mom made sure to send me my Muscle Rub, which comes in very handy after 8 mile runs on the old Pan-American highway. Another hearty surprise from my amazing friend Joanna. Jojo asked me what my favorite candy was, so I thought maybe I’d get a Butterfinger and some baby wipes. 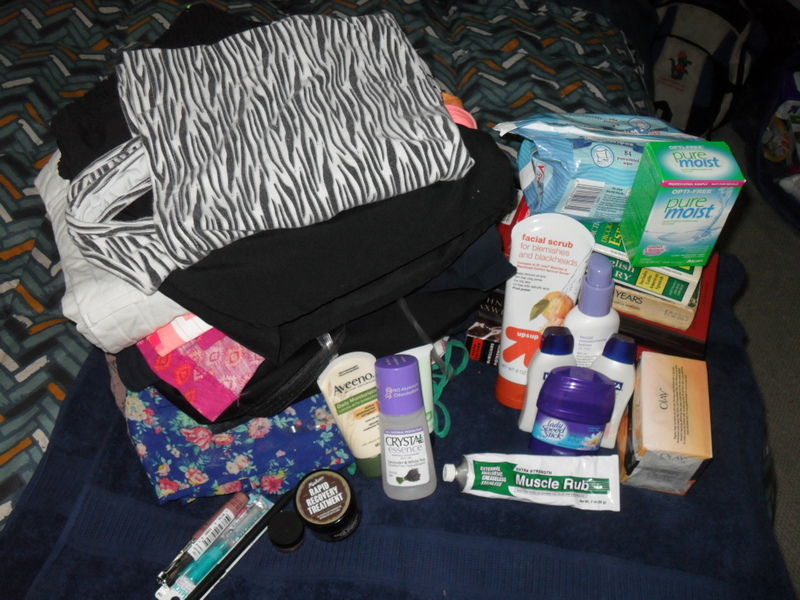 (Baby wipes are pretty much a staple in any care package, they are so useful!!) 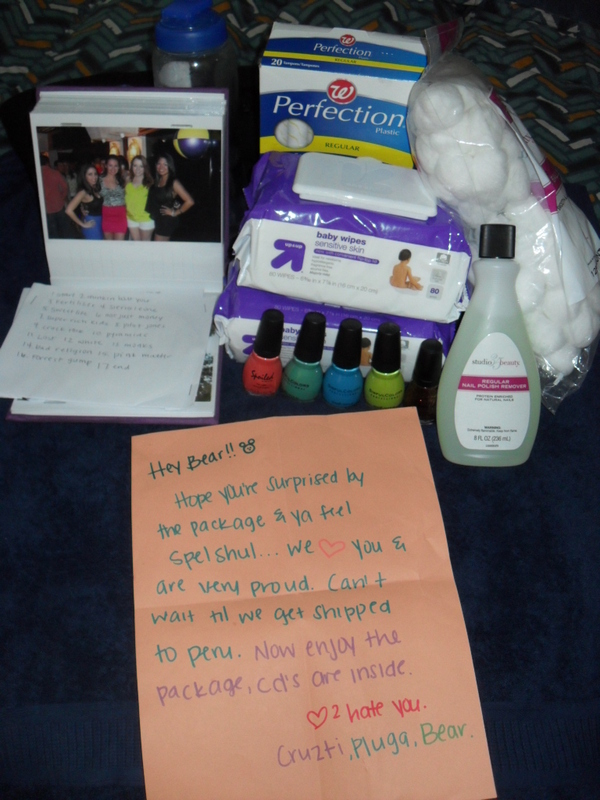 As always, she went above and beyond to send me an incredible package that included a gossip mag and a lovely note. I love you guys for taking the time to put these together, they mean so much more than you can imagine! !